Most people know what an espresso is – around 30ml (1 ounce) poured through ground coffee in around 30 seconds to produce a crema rich coffee that is has a little natural sweetness. 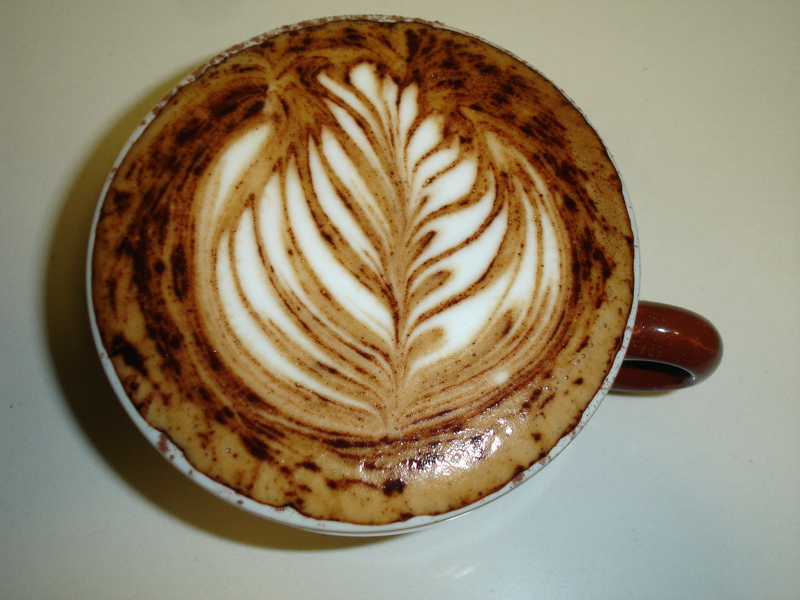 This is also the base in most of the milk coffees – cafe latte, cappuccino, macchiato, and piccolo latte. But what, you may ask, is a Ristretto? A Ristretto (ristricted in Italian) is the first part of the espresso shot. Usually around half the volume of a typical espresso, the Ristretto is richer, sweeter and has fewer of the harsh flavour compounds that come through in the later stage of the espresso pour. Next time you’re at your favourite Espresso Bar, ask for a Double Ristretto – around the same volume as a standard espresso, but with twice the flavour! It also makes a more flavoursome base to cafe latte’s and cappuccinos. Give it a go. When I get my camera fixed, I’ll post a video. Cappuccino prepared using a Rancilio Silvia from Jetblack Espresso. The Rancilio Silvia is fantastic. But what about this issue of temperature (in)stability? How important is it to temperature surf and how do you do it? Is a PID controller the answer? A few weeks ago, I pidded a brand new Silvia. Now I’ve gotten around to conducting some temperature tests and this is what happened. How much “swing” is there in the boiler temperature? How does the temperature swing affect espresso extractions? How effective is temperature surfing in overcoming the temperature swing? How effective is a PID controller in overcoming the temperature swing? Any other benefits of fitting a PID to a Silvia? I only conducted these experiments once and all of them on the same near-new Silvia. As far as I can tell, it’s a typical Silvia (and I have used a few over the last year or so), and none of the results surprised me, but I am unable to draw any conclusions about the variance in the Silvia “population”. So I can’t say how different another Silvia is likely to behave. If anyone would like to add to the sample size, let me know. The thermocouple is mounted at the top of the boiler. If this temperature is different from the steady state group head temperature, there will be some temperature “smoothing”. This is where the Silvia’s liberal use of brass helps. However, I did not attempt to quantify this effect. One day I will get my hands on a Scace device and do the next series of experiments. For now, it’s a matter of measuring actual top of boiler temp and taste testing the resultant espresso/latte’s. 1. How Much Temperature Swing is there in a Rancilio Silvia? But what’s the effect of such a swing? I use a reasonably consistent method of temperature surfing when I use the Silvia. I hit the brew button until the boiler element light comes on and then prepare the portafilter – grind, dose, tamp – by which time the light has gone off, then I insert the portafilter and hit the brew button. My reasoning is that this is repeatable and anything that increases consistency is a good thing when we’re trying to control all the variables that go into the espresso making process. Here is that process, but with the addition of the PID showing us the temperature as the espresso extraction proceeds. Remember the PID is NOT controlling the boiler element. Using this method of temperature surfing, the boiler is at 116C (241F) when I hit the brew button which is arguably too high. The temperature drops to 106C (223F) by the end of the shot so the intra shot temperature swing is 10C (18F). The resulting shot had a crema with some very dark tones and lighter tones. The shot was a little burnt/bitter. The boiler hits 116C (241F) again just as the portafilter is ready, this time however, the brew button is activated for about 2 seconds which drops the boiler temperature to 110C (230F), then the portafilter is inserted and brewing begins. By the end of brewing, the temperature is 99C (210F): a swing of 11C (20F). The crema seems to be a more consistent reddy-brown. The shots aren’t tasted but the latte’s taste good. The other “trick” employed is to start steaming the milk while the element light is on (as close to possible as it going off – which is a trick). This keeps the element energised which keeps the steam pressure as high as possible and the steaming operation as quick as possible. This is a lot easier with the temperature gauge in place, but in practice it works ok to start steaming about 30 to 40 seconds after hitting the steam switch. Put all this temperature surfing stuff on top of getting everything else right – grinding, dosing, tamping etc and it’s a process. Which is why the PID controller is so popular. A PID controller keeps the boiler temperature at a predetermined setpoint so we don’t have to temperature surf. Fitting a Rancilio Silvia with PID is a popular modification and this video will illustrate the benefits. On a standard Silvia there is enough of a temperature swing to produce the occassional sour/underextracted or bitter/overextracted shot. A simple temperature surfing method will ensure sour shots don’t happen, while a more advanced temperature surfing technique is required to ensure bitter/burnt shots are history. It is possible to improve the steam performance of the Silvia with a relatively simple temperature surfing technique. Ok here is a video of making 2 latte’s with my newly pidded Silvia. For people that only make one or two coffees at a time, or for people who drink predominently black coffee, the best “entry level” machine is a single boiler machine, and IMHO, the best of these is the Rancilio Silvia. My name is charlie and I am addicted to coffee. The good news is my partner owns Jetblack Espresso which supplies Coffee Machines and runs Barista Courses for the other similarly afflicted of Sydney Australia.